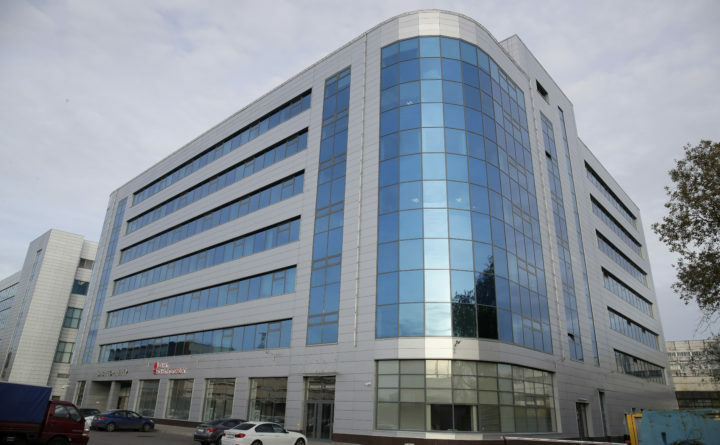 A business center building known as the "troll factory," an Internet Research Agency, one of a web of companies allegedly controlled by Yevgeny Prigozhin, who has reported ties to Russian President Vladimir Putin, in St. Petersburg, Russia, Oct. 20, 2018. Federal cybersecurity officials aren't aware of any voting system compromises by Russia or other foreign agents during the midterm elections. But it's not entirely clear why or whether hackers are saving their gun powder for the 2020 presidential showdown. WASHINGTON — An unprecedented federal and state collaboration to defend election systems against Russian interference ended with no obvious voting system compromises, although it’s not entirely clear why.